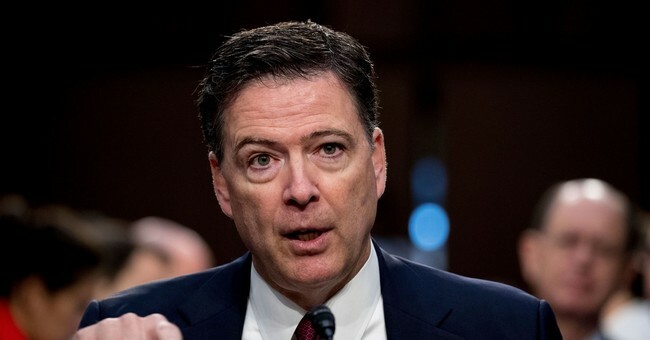 Department of Justice Inspector General Michael Horowitz announced late Thursday his office will release the highly anticipated report about how the FBI handled various aspects of the 2016 presidential election on Thursday, June 14. The announcement comes after Senate Judiciary Committee Chairman Chuck Grassley again rescheduled a hearing, originally set for June 5, to go over the long awaited OIG investigation findings. "Thank you for inviting me to testify before the Senate Judiciary Committee on June 18, 2018, about the findings in the Office of the Inspector General's (OIG) forthcoming Review of Allegations Regarding Various Actions by the Federal Bureau of Investigations (FBI) and the Department of Justice (Department) in advance of the 2016 Election," Horowitz wrote in a letter to Grassley and Ranking Member Dianne Feinstein Thursday afternoon. "Prior to the June 18 hearing, the OIG intends to release our report publicly and to provide the report's classified appendix to our oversight committees," the letter continues. "We anticipate releasing the report on June 14, 2018." Horowitz will testify under oath in front of the Senate Judiciary Committee. The hearing is titled, "Examining the Inspector General’s First Report on Justice Department and FBI Actions in Advance of the 2016 Presidential Election." The report is expected to span nearly 500-pages. Grassley has also requested other witnesses testify about the OIG findings, including former Deputy FBI Andrew McCabe. McCabe has reportedly been in talks with the Committee about receiving immunity in exchange for his testimony. He was fired earlier this year by Attorney General Jeff Sessions for lying multiple times to federal investigators, including agents working for the FBI and OIG. After he's done with the Senate, Horowitz will sit in front of the House Oversight and Judiciary Committees for questions about the findings in the OIG report.